Lately, I have seen television commercials where a web service will create a Facebook page for you for free! And for a monthly fee, even post content for you! Ah if it were only that simple. Many organizations, including Cooperative Extension, have invested a significant presence on social media, including Facebook pages, which are free and easy to set up. It used to be simple after that – tell your friends to like the page, post content and everyone who liked your page would see the updates. Those simple days are over, and like most things on social media, a well-planned strategy is the key for success. Cooperative Extension is recognized across the world as an organization that provides unbiased, research-based information that people can trust. We have good things to share. Naturally, we want to get the word out to as many people as possible. Facebook is one such tool for outreach. There are quite literally, hundreds of Facebook page management tips to share. 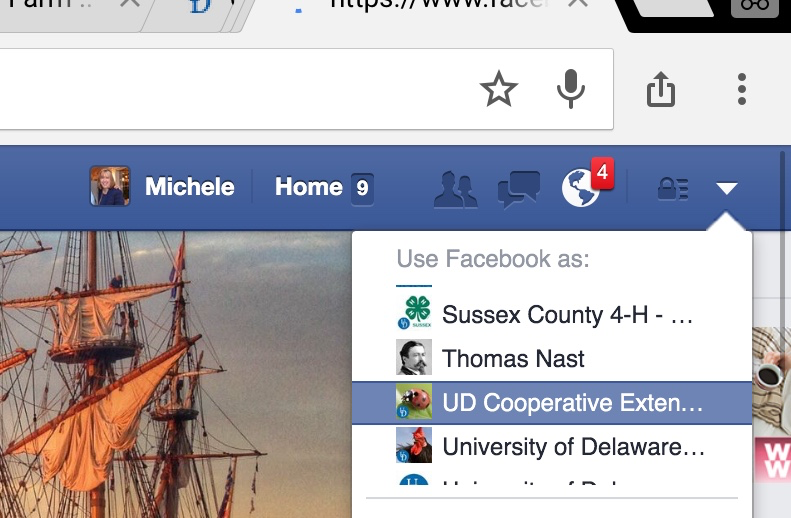 Here are my top ten (plus one) tips for Cooperative Extension to have in place on their Facebook pages. 1. Make sure your page is classified as “education” instead of “nonprofit” or other designation. Facebook gives preference to content from education pages as opposed, to nonprofit, retail or a politician’s page. 2. When setting up page roles, always have a minimum of two full administrators on the account. In case of emergency, relying on one administrator can be a big mistake and grind page management to a halt. Administrators can add adjunct roles like content editor to part-time contributors or interns. Administrators can remove roles or delete a page. Regardless of the role, everyone who posts content should be briefed with regard to voice and tone and your organization’s overall content plan (see #s 5 & 6). 3. Have an amazing timeline cover photo. This is part of your brand. You can change monthly or seasonally or create a mosaic. Photo dimensions are 851 x 351. Profile picture/avatar should be your logo and should be the same image as other social media avatars so that your brand is consistent across all social media platforms. 4. Mobile app and desktop versions of Facebook are signficantly different. With this difference comes limitations. Chief among these is the ability to use Facebook as a page and navigate around Facebook the way individuals can. It is important to use Facebook as your page and engage across the Facebook platform. In desktop versions, or from a mobile browser (not the app) at top right, you can drop down an arrow and leave your personal identity and switch to your page name. Once you do this, your avatar will change. Your Extension page is now able to like other pages (and should), comment on other stories (and should), and tag other pages in your content (and should). Example: If the New York Times or your local news’ Facebook page does a story on an Extension topic, your page can like that story, comment on it and share it. And should! People read comments! In a browser-based Facebook, you also have the ability to change icon identity at each post location. Administrators/editors will see the pages they manage iin a drop down arrow top right of a browser/desktop version of Facebook. Changing as your page allows you to navigate across Facebook as your page. This is important in involving Extension’s presence within Facebook and it allows you to like other pages, engage with them and comment on stories! 5. Vary content. Facebook will penalize your organic reach if you continually post the same url source or post the same type of content. Mix it up. Content should be a.) internal website b.) other people’s website or other people’s content c.) original photo d.) video, etc. Never post the identical content on Twitter or other social media platforms or use an automated service that posts on one platform and repeats it on another. Twitter and Facebook have completely different audience bases and content should reflect those differences. 6. Consider a weekly theme plan. For example: Mondays recognizes a volunteer. Tuesdays can feature trees, technology, etc. Wednesday can focus on a program area, a ‘how to’ tip. Thursdays can look back, nostalgia, or focus on outreach, a particular animal, etc. Friday can be fun, futuristic, a photo caption day, fun food fact, or the day you post a comic. Let Saturday zero in on science, feature a cool microscopic photo, infographic, an interesting statistic and set Sundays for a thoughtful or inspirational quote, a look at the week ahead, a DIY tip, trivia for audience to guess what a photo might be, or fill in the blank challenge. While Facebook has never been a hashtag haven, they can be effective tools when used sparingly. Adopting a trending hashtag into your post now and then, such as #throwbackthursday is a good idea. 7. Keep posts short. Facebook is moving toward mobile. Despite some limitations with the app, growing numbers are checking in via smartphones. No one wants to see a long paragraph of text. A strong photo is more important. Conventional wisdom now says Facebook should be as short as Twitter, if not shorter. 140 characters or less. One expert said recently the ideal Facebook post is 70 characters! Eek! 8. Timing. How often should you post? Twice a day, once a day, two-three times a week? Day, night, evenings or weekends? Pay attention to your insights, particularly when reach and engagement peaks. Post when your audience is likely to be on Facebook. Studies indicate weekends are optimal times. The frequency of your content depends on the variety and quality of the information you have to share. One of our highest engagements came on a snow day when everyone was home and on social media talking about the weather! Bottom line, know your audience and study your Facebook insights for what works and what does not. 9. Support other Extension pages and content. Share and engage with them. There is strength in numbers. We are colleagues and part of a larger community of outreach. We need to support each others’ pages and tag each other in content. This is the ‘social’ in social media! If your Extension group has more than one page (4-H, county pages, livestock, ag, horticulture) please consider cross supporting each of those pages by sharing and tagging. All of these programs and departments ultimately fall under your Extension umbrella. 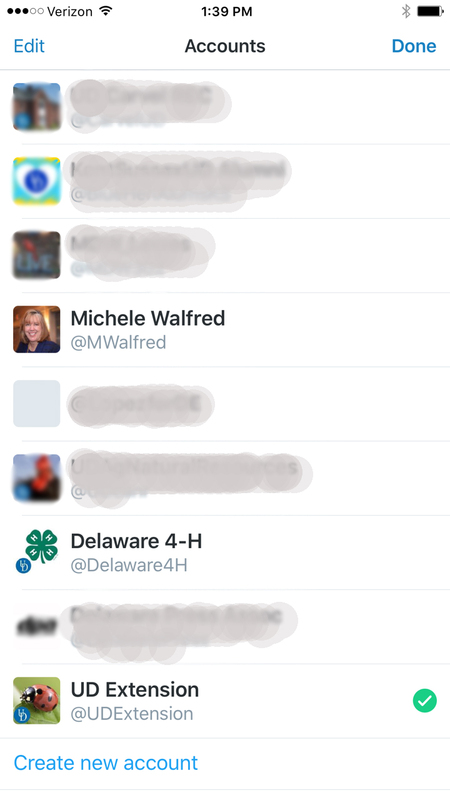 In Delaware, we’ve consolidated our Facebook presence down to one Extension and one 4-H page and that makes sense for our smaller state. However your pages are organized, it is important to support and to study what other Extension offices are doing in social media. What posts are getting the most comments, shares and likes? If it is appropriate to share their content on your page, do it! 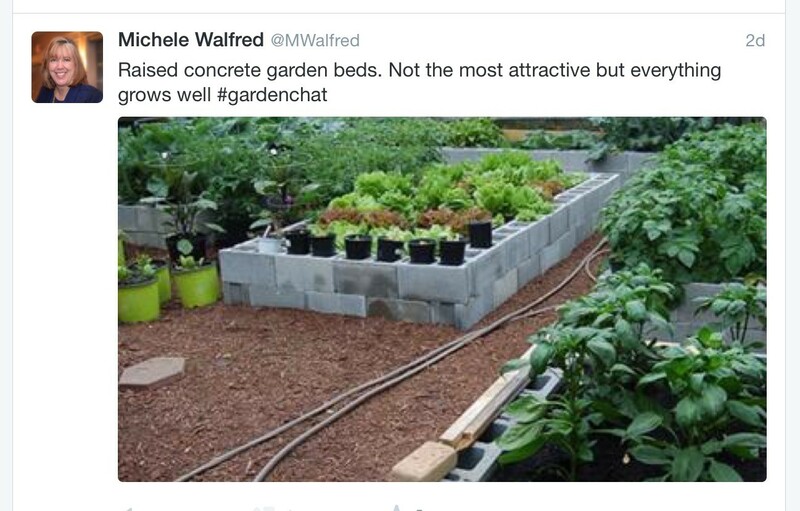 The public might only know Extension through a specific program, for example, Master Gardeners. But there is nothing wrong with a livestock page shouting out to a 4-H page, or a 4-H page referring to a FCS or horticulture post. This helps the public understand the broad reach and brand of trust that is Extension. 10. Request Extension staff to comment and share your page’s content on their timeline. It is great when staff likes a post, but it doesn’t help much. The key to exponential growth and reaching new audiences is getting other people to share content on their timeline. Never ask anyone to share or like a post in the post itself, because Facebook will detect that text and actually penalize your post’s organic reach. But within your organization it is helpful if you can communicate to your staff how private account sharing can help. Most people don’t realize how this works and are glad to help. In terms of value, sharing is best, followed by commenting and then last – liking. My family and friends on Facebook now know more about Extension than they ever did! I don’t share everything, but I do share a good bit on my timeline and I have seen my friends respond to the content on their own. Most are glad to get the valuable information Extension provides. 11. You may have to boost a post now and then. Never assume the number of likes your page has, whether it is 200 or 2,000, is seeing your content. They are not. You are lucky if you are reaching 5%. Facebook is no longer serving your content to your entire page fan base. Not for free. Reaching more of your audience, organically, depends on how original and clever (and shareable) your content is. If you want all your fans and their friends to see your content, you are going to have to pay. The good news, it is fairly inexpensive. A $20 investment can reach tens of thousands of people. 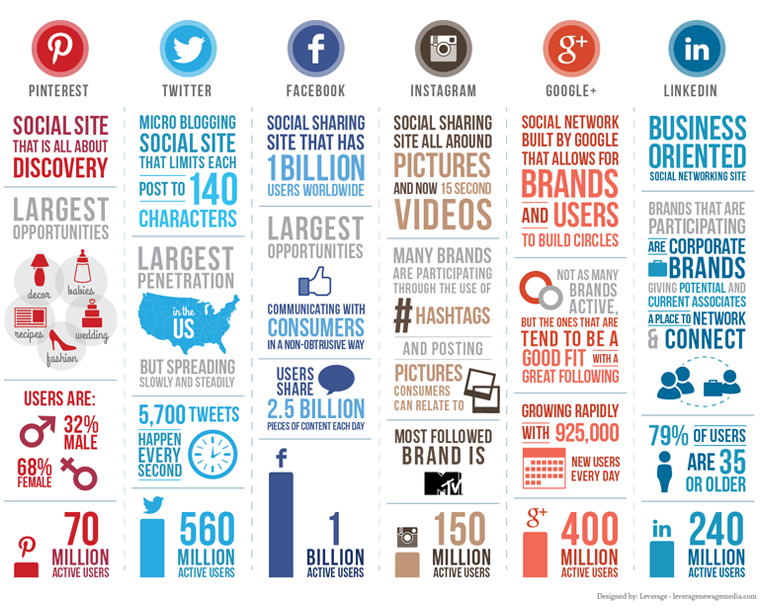 As social media platforms and options continue to evolve, social media managers are wise to expand beyond Facebook. Over-rely on Facebook at your own peril. When you’ve built up to 1,000 followers, but Facebook only delivers to 50, despite your best efforts, it is time to add other platforms to your strategy. Twitter is equally, if not more important. Instagram has great potential for story telling through images. Vine and Periscope are impressive short video and live feed coverage, respectively that can spice up Twitter content. Twitter owns both Vine and Periscope. One other tip that I have not enumerated, but throw out for debate (because I have not yet seen a definitive answer) is the practice of removing a url address in the post once it populates in the preview. It has been my habit to erase the url once the preview appeared because it looked neater and cleaner. I recently read on LinkedIn a suggestion that it is beneficial for organic reach to leave the url in place, and many people chimed in on the comments that it is decidedly so. I haven’t seen the evidence. Stay tuned. 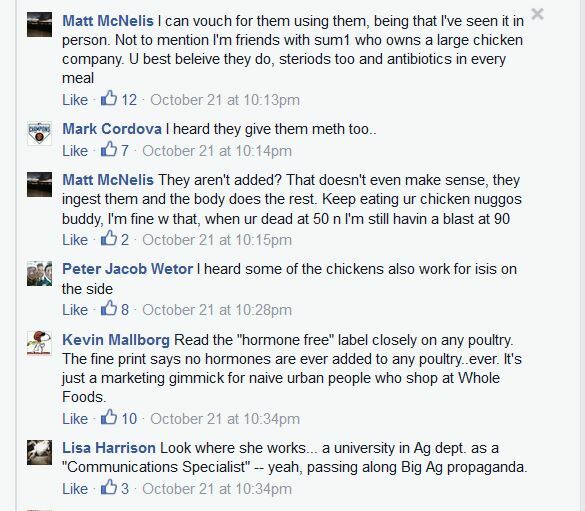 More on Facebook’s algorithms here. Facebook and Twitter deliver their (your) news feed content to their respective audiences in completely different and challenging ways. Although technically similar, it is important to understand how these feeds work when employing a strategy to maximize your content and audience reach. Most of us know or have heard that following a page, or friending a person does not guarantee that we will see that specific post or status update in our news feed. Facebook uses highly sophisticated algorithms to determine what we see in our news feed. An individual’s engagement with a post (liking, commenting and sharing) is the largest determining factor whether or not that same individual will see more of the same from the page, friend or family member. In so many words, Facebook decides if we are bored or excited by our news feed based on our behavior. So, it’s very likely we are missing a lot! Updates we might actually be interested in. Check the timeline on the page or person you are fond of and you are likely to see they are sending out more than you are getting. If you are on the sending end – hoping your information reaches all of your family and friends, or all the “fans” or the people behind those sought-after page “likes,” then, well… let’s just say you have some challenges ahead. Produce content that elicits a reaction. Will the reader say to themselves, “Oh wow, I have to share this!”? Does the content invite comments and conversation? Is it visually interesting? If your answer is no, it is time to step up your game. Page administrators: pay attention to your insights. When did content spike? Are you only reaching 79 of your 500 fans? Are your friends awfully quiet? Only receiving a handful of post likes? It is a sign you need to be less boring and also more engaging with the people whose attentions you seek. Avoid third party services whenever possible. A link you post directly into Facebook will get more traction than content delivered from using a third party service like Hootsuite, or TweetDeck. Yes, they are convenient, but Facebook will penalize you in the news feed for using them. Sharing photos? Don’t rely entirely on external sites like Flickr. Great photos should be uploaded directly to Facebook and also as a link to a Flickr album. Mix it up. Avoid boring pictures. No one wants to see a photo of a person giving a PowerPoint presentation. Yes, we know you gave a fascinating talk. Instead, feature a photo from that talk and write about a key message. Keep posts short. Facebook does not have a character limit, but research shows shorter posts get longer attention. Get to you point fast. Let the picture or link do the talking. Many experts now say the ideal length for Facebook is 80 characters! And you thought Twitter’s 140 limit was too restrictive! Pay attention to timing. Did your post fall flat? Consider posting the same content again on a different day or time. Change it up just a tad, use a different picture, etc. Just don’t repeat consecutively! Don’t be a One Trick Pony! Mix up your content. Picture, website link, Facebook video, Vine, link to a PDF, YouTube, and sharing other Facebook page content (like a partner organization). Boost posts. On important content, experiment with spending $5 or $10 to boost a post. This will remind your page fans you are still alive and kicking. Once there, they might look around and see what you have been up to. Only boost sparingly and when the content is helpful or spectacular (share-worthy). If you post great content at 9 a.m., but your target audience member checks his/her feed at 11:30 a.m., guess what? Your information is pushed back in their news feed. Way back. They may visit your account to see what you’re up to. They may decide to swipe up 20 or 30 times to see what was missed. Chances are they’ll start from where they jumped on, so your news is long gone. The solution is easy. Repeat and repeat again. A quick look at The Washington Post’s Twitter account shows they do exactly that. They typically post their top news items every two to three hours in a 24-hour news cycle. Feature stories, infographics (they’re huge with U.S.maps) can be shared twice a day or multiple times during the week. Pace your delivery. Don’t marathon tweet one after the other, seconds apart. That’s spam. Have dynamite photos? We don’t have to see all 20 at once. Pace and space, please! Repeat breaking or important news several times a day or within the week. Just not in a row! Space it out over time and among/within other content. Big event coming up? Don’t tweet it once and forget about it. Different audiences come on at different times. Be there! Use the right hashtags. Part 1. If you run out of room, change or alternate the #hashtags in repeat tweets. Delaware example: First, tweet of a photo of children learning safety at a day camp might use #safety #NetDE (our state aggregate). Later in the day, we might use #summersafety #KidsDE and if we sent out a third Tweet we might add in #EduDE #bikes #camp. See Holy Hashtag! Use the right hashtags. Part 2. Don’t make hashtags up if a good one is already in use. People search hashtags for content. Don’t make it hard for people to find you. Use the hashtags everyone is using, or, if it is a new event hashtag, talk to other tweeps and ask their help in promoting the hashtag use. Place the event hashtag on event materials so people will know to use it. Repeat content. Yes, this bears repeating! Vine & Periscope! Video and live streaming brings your content to life. Stop connecting to Facebook! Really, do I have to jump in, sign in, or sign up for Facebook to see your content? Don’t make me do that! No more fb.me’s, please! Sparingly connect to Instagram! I do occasionally auto-connect to my Instagram. The operative word is “occasionally.” See above bullet. It’s a way to let people know you have an Instagram account, but don’t overdo it. Think about it. Would you rather deliver a picture this way? It’s not easy to navigate through all these social media nuances. I’ve made plenty of mistakes, but I learn from them, share those lessons, and most importantly keep experimenting and innovating! Digital media marketing expert Jay Baer explains how and why the Facebook model to pay for organic reach will travel to all platforms. His explanation of reliable reach is well worth considering in building a social media strategy. Baer has reversed his thinking – older conventional wisdom that a rifle or targeted approach on one or two platforms is the correct strategy. He sees the writing on the wall and the future is a shotgun approach; more content, buck shots of content if you will, splayed out across and customized for a growing number of social media platforms. You don’t know who you are going to hit, but chances the more you shoot, you’ll impact something or someone. Notable segments are at 16:30 and 24:00. This strategy of course, has its challenges, namely resources, time management and sizes of social media teams. Good and bad news for existing social media mangers – “job security” is assured, but without additional help, your secure job might be an impossible task! Spend some dollars and make sense! I know. I know. You hate the idea of giving money to Facebook. We had it so good for so long. We had our audiences attention for free…and now it costs! Ah, but let us not protest too much! Page One had 405 likes. My organic reach for the post was a dismal 79. The post advertised an event open to the public with all kinds of cool activities, giveaways – family fun. I selected specific surrounding ZIP Codes to target and set the parameter for one day with my small $5 budget. In 24 hours, the reach swelled to more than 1400 people and the page gained three likes. Page Two had 900+ likes. We posted a part time job opening and the organic reach was 350+ with no shares, no comments and a handful of likes. In consultation with the co-administrator of the page, we decided to spend $20 over three days and boost the post to our page followers and their friends. After two days, the reach climbed to 3,200, 25 likes, 18 shares and 3 comments. We also earned 8 new page likes. This campaign has a half a day left. Page Three had 475 page likes. We posted a link to a website promoting an upcoming event that is of interest to our state’s agricultural community. Again, we decided to pay only $20 and specified that we wanted our page followers (and their friends) as the target audience. After the first day, we received a reach of 1,100, post likes of 27, several shares by other pages (very important) and three new page likes. This spent approximately $4 of our $20 budget. On the third day, with a balance of $1.82 left to be spent, our post was served to 3, 485 people. The post was liked 60 times and shared a total of 11 times (by individuals and other pages) and overall our page picked up 13 new page likes. What I discovered, is beyond getting the word out about the specific news or event I boosted, once there, the analytics tells me, that once there, old fans rediscover us and new visitors poke around a little, and some decide to like the page. In every instance of the three post boosts, page likes went up. While that is not the be all and end all of metrics, a page has to start with a base. I like post boosts rather than page ads because of their lower cost and their specificity of information. 2. Include a photograph or short video. 3. Images should NOT be a jpeg of a flyer or an ad that is running in a paper. In other words, there shouldn’t be too many words in the image. Images that are text heavy will be rejected. 4. Select a lower dollar amount to spend.You will be prompted to spend $60. You don’t have to. I started out with $5 and got quite a lot of bang for those bucks! You can always up the ante later. 5. Select your boost parameters. Specify your audience. You can pay to reach your page followers only. If your budget is small, your page likes are large, but you have been seeing a decline in insights, paying to reach out to your original page followers is a strategic way to re-connect with your base audience. 6. If your page follower/likes number is low to modest, consider Facebook’s second option to reach your base audience and their friends. This is the strategy for our non-profit audience. 7. You may choose to drill down to specifics such as age, gender, delivery to ZIP Codes, or by user-identified interests. Facebook will take you through the process and as you refine your target audience, they will provide you with a step by step guide as you go through the process. You will always know who, when, where and how much! 8. Don’t boost every post. Don’t be spammy! Once a month might be enough, it might even be too much. Take yourself out of your arena and imagine you are a stranger to your organization. Imagine you are an unknown Facebook audience member – looking at his or her feed when your paid boost appears. Will it matter to you? Will it pique your interest? Will it be intriguing enough to click and share? If your answer is no, this is not the post content to boost. Wait until you have useful content to share. 9. Lastly, you’ll find new people are checking out the boosted content and your overall page. You have their attention. Don’t waste the opportunity! Look at the rest of your content and do everything you can to make it compelling, visually interesting and purposeful. Given the cost of print advertising, Facebook post boosting is an attractive alternative. Experiment. Start with a small budget. See what $5 over one day will get you. If you are struggling to be noticed on Facebook, you might be pleasantly surprised to discover that spending a few dollars make a lot of sense! Beating those Facebook algorithm blues! No one took the time to engage! You’ve heard the tune by now. Facebook has these mysterious things called ‘algorithms’ and they’re wreaking havoc on Facebook page metrics. They’re mathematical. They’re complicated inventions. They peer into the habits and preferences of Facebook users and they are slashing Facebook page insights we once knew and relied upon into little, unimpressive pieces. Not too long ago, a local business person shared with me that he wasn’t putting that much money, energy or time in a traditional website. Facebook was meeting practically every need for free. “It’s the greatest thing since sliced bread,” he remarked. Maybe then, but this is now. Those bread and butter days are gone! If you’ve managed a page long enough to build up a respectable following measured in “likes” you’ve likely seen your reach and your engagement plummet. If you have 1,000 page likes, do not assume those same thousand will see your status update. Chances are they aren’t seeing what you are sending out. People who like your page are not subscribers! Stop worrying about the number of page likes you have. It is irrelevant. The metric that counts is the number of people engaged with your content. A page with 1,000 likes can have a post with single digit metrics. A page with a 125 likes can boast engagement metrics in the tens of thousands. How is that possible? 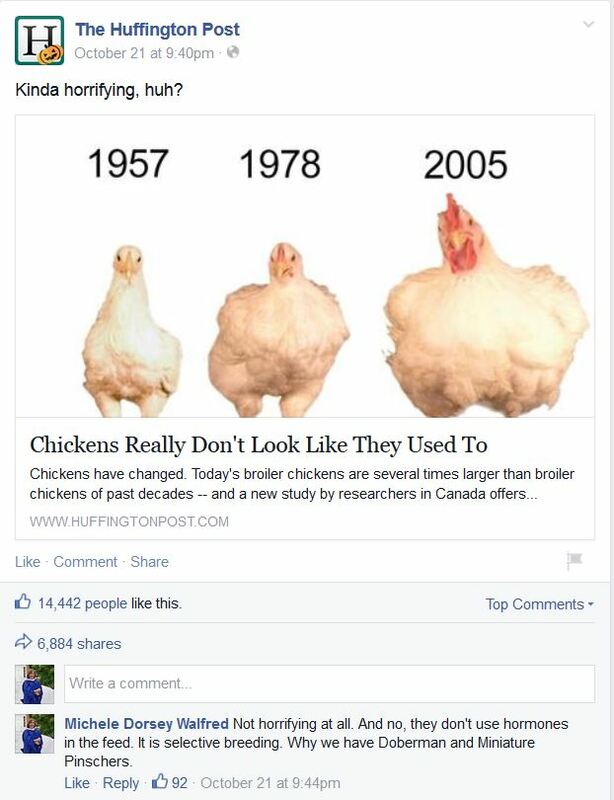 This screenshot comes from the same page with 857 likes. Note a 19K reach and a 2.3K engagement from ONE post. It doesn’t always happen like this, you can see by what surrounds it, but it can if the content resonates with your audience. Experiment. Learn from what works and what doesn’t. 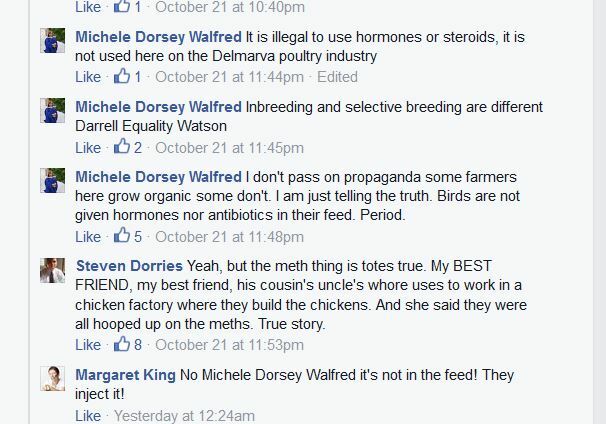 Screenshot taken from the same non-profit page co-managed by author. Like your content. That is, giving your post that cute little “Thumbs Up!” Weakest. Make a comment. Anything. You don’t even have to type “Way to Go!” Acronyms count – WTG! Not bad. Share your content, thus exposing your organization on their timeline and to their friends. The best. Your goal! When they do all three, you’ve hit the Facebook engagement trifecta. Facebook’s algorithms recognize engagement. Here’s how the process was explained to me in novice terms. Facebook measures and tracks your behavior on their site and beyond. When you see a page post come through your News Feed and you just smile, and think to yourself, “Oh that’s nice,” but move on, Facebook will detect that you did not engage – like, comment or share – and therefore it may decide for you that you really aren’t interested in content from that page in your feed. If you want to keep in touch with the page, you can do that yourself, but chances are, Facebook will not continue to clog up your feed with that page’s posts. They will filter that content out of your News Feed. Many page administrators have watched with dismay, the downward spiral of their stats. Proud to have worked so hard to build that base, they are now, as Del Monte so brilliantly allegorized it, being asked to “pay to play.” But it is all legal. Facebook has pulled the rug out from under page owners. Scratch that. We never owned our page. We were just guests. The rug was in Facebook’s home. It is their platform. Why is Facebook doing this? Some have argued that the move makes managing the sheer volume of of processing 829 million users’ feeds each day a lot easier. Others will offer, with some validity, that Facebook has found a way to monetize. Oh you want ALL of your fans to see your content? Why then you have to pay. Facebook maintains that they want the social media experience to mean something and be relevant to you and those who you connect with via social media. If your content is original and meaningful it should be compelling or engaging on its own merit. They want us to be social and conversational. They also want to track how we interact and behave so they can sell our data profiles to advertisers. If you are fortunate to have the budget for artists, designers, and full-time social media managers, you have a heads up to produce original and creative content. For administrators of small businesses or non-profits, no such budget luxuries exist. We are learning through trial and error and by studying those in our industry who appear to be doing it correctly. We also voraciously consume the wisdom and advice of social media strategists or gurus, who as a whole, are very generous in providing the top 5, 7 or 10 things you need to do on Facebook. Search for “Facebook Engagement Tips” online and you’ll get tons of great advice and tips of the trade best practice lists. Define your audience, if you can. Specifically target them. If your demographic is broad, then anything goes. What pages do people in your target audience like? Pay attention to how these pages use language. Keep text brief. Punchy. Trendy. Or not. But always brief as possible. Vary your content. A photo one day, a video the next, an internal link, an external link, an inspirational quote or perhaps even a funny comic. Groups of happy smiling people are extremely sharable. Get your volunteers or staff together for a group photo and thank them online for all they do for your organization. Tag them if you can. If they’re on Facebook, they’re going to share the heck out of photo and tag each other, all making your content shareable. Know the difference between push and pull. Pushing is talking about what you are doing, what event is coming up, what is on sale, what you did, what is happening in your world. Balance that with pulling. Pulling is asking people what they think and feel. Are you being curious about what is going on in their world? I.D. this photo! What do you think this is? What do you like better, A or B? Caption this. Fill in blank. My best experience with XYZ was _________. Adopt a couple of widely-used trends. Throwback Thursday is a day when people post their dreadful 1970s high school photo, a picture of their business when it first started, a wedding or dating photo. Ask people to guess the year. Audiences love this. Do NOT ask people to like or share your posts. Facebook will actually penalize you for that. If you have to ask, your content can’t be that good. Use Facebook as your page. In the upper right corner of your taskbar, you can change your identity to your page. Once you do this, you can navigate as your page to other pages, just as you would as an individual. Your page can like other pages, and should. Your page can make comments. Has your local paper reported on a story about you or your industry or interest? Comment on their story. Like and share other page’s posts. Your engagement with them will pay off for you. Reply to comments posted on your page. Negative comments should never be ignored and only deleted if there are expletives or if they contain obvious spam. Brands build credibility by responding well to online complaints. Have a plan for how to address a customer with a dissatisfied experience. In the comments, tell them you are sorry for their experience and ask that they message you where you can converse about the particulars in private. Never-ever link your Twitter to your Facebook or the other way around. It is considered lazy social media management. While hashtags are used occasionally in Facebook, they are not very common. Think about themes. One ag-government page recently focused on the artwork of their staff. They had a large work-force, and each day they featured a painting, sculpture or craft someone at work had done. It had nothing to do with their page topic. They were simply celebrating some of their artistic staff. Think of ways you might introduce the people of your organization. Tell their story. In doing so you are sharing that your employees or volunteers mean something. It fosters an emotional connection with your audience. Use high quality photos. Make sure you get photo releases, especially for minors. Don’t over-rely on Facebook. Investigate other social media platforms such as Twitter, and reassess the freshness, effectiveness and Search Engine Optimization of your main website. Lastly, there may indeed be a rationale for paying to play. In a new page I manage with 500 or so likes, I shared an important free workshop of interest to the public. The reach was a disappointing 79. Out of 500, only 79 saw it! Very frustrating! I experimented by paying $5 for a 24-hour period, to boost the post to a target ZIP Code. The reach climbed to 1400+. Good reasons exist to consider post boosting, for the obvious reason that you can’t get that kind of advertising power, that inexpensively, anywhere else. It kills me to give Facebook money, but I chalked up the $5 to research. If surgically applied, boosting might be a good strategy for those on a tight budget. Who is the audience they are trying to attract? Are they using any special campaigns? (Usually indicated with a hashtag that you will see repeated). What is their voice? First person, third person, informal, serious, quirky? How does their content vary? What works? Look for number of likes, comments and shares on different posts. How do they differ? Do they engage in the comment section? How does their approach differ on Twitter? *With special thanks to the University of Delaware Social Media Marketing Strategy Certificate Program (author is currently enrolled, Fall 2014). Look for our class hashtag on Twitter #SMstrategy14. Facebook: Buy Ads or Boost Posts? There apparently is a big difference and it is about honesty and reaching a real audience! I found this video fascinating! Just found this very informative article by Kevan Lee for Buffer Social. More confirmation about what was communicated in my post Beating Those Facebook Algorithm Blues.